Three TV movies complied from Kidou Senshi Gundam SEED series. 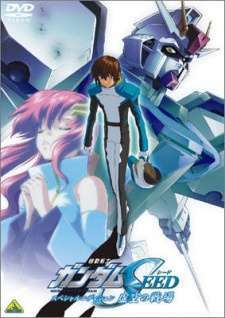 Much like the Kidou Senshi Gundam theatrical movies, the Gundam Seed: Special Edition movies are intended to be an override of the story from the TV series. These episodes are in fact a complete recap of all 50 episodes of the TV series and were first shown on television in Japan. The special edition episodes feature some new scenes and tweaks to previously animated scenes. The first special, The Empty Battlefield, which compiled episodes 1–21 of the series, was aired in two parts on Japanese TV in March 2004, followed by the next special, The Far-Away Dawn, which was episodes 22–40, in July 2004. The final special, The Rumbling Sky, which was episodes 41–50. While the story is overall unchanged, there are a few minor changes. In addition, several scenes are re-animated and re-dubbed.